Welcome to the 2019 Class. Let’s get to know each other. Sam Kieschnick and the 2019 Spring Class. Photo by Stalin SM. 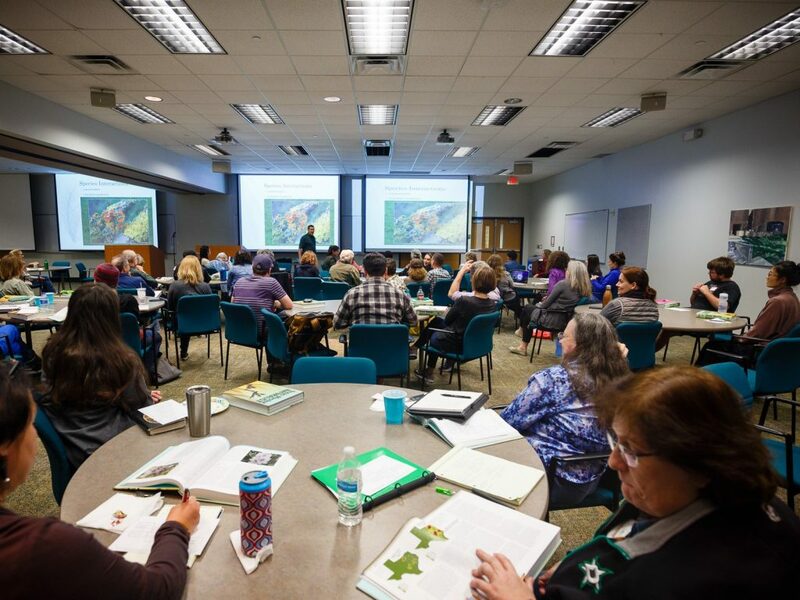 On February 5, 2019, the North Texas Master Naturalist chapter will welcome 50 people to our initial training course. Fifty people, bringing their own knowledge, be that beginner or sage; their own passion, be that for all things nature, or one needy corner; and their own skills, from biology to geology to accounting and teaching. They will include naturalists in training who are working, retired, and going to school. If you are in the North Texas Chapter, go meet the trainees. Introduce yourself when you see the round trainee name badge at a chapter meeting, your volunteer activity, or in an advanced training event. Tell your story—what class, why you got involved, what you have learned, how the mission inspires you. Ask them to tell you their evolving story. Help them when they ask. Mentor them if you see the opportunity, either sharing your subject matter expertise or inviting them to your volunteer projects. They do have an assigned mentor, but might benefit from different types of mentors. Meet and welcome them. Engage them. Make it a goal to get to know at least five of the new trainees. If you are in the class, come meet other Master Naturalists beyond the classroom. Volunteer. Go to educational events. Come to chapter meetings and a board meeting or two—learn all about the organization you have become a part of. Meet people. Make it a goal to get to know at least five Master Naturalists in your class and outside of your class. Tell your story. Engage people. Ask questions. Learn. Volunteer. Repeat. If you are watching the Master Naturalist program, looking for opportunities to learn or do, introduce yourself to anyone you see wearing either of our North Texas Master Naturalist name badges—round ones for trainees and rectangular for those who have completed the certification phase. Maybe you will continue to participate in the public educational events on your favorite topic offered by North Texas Master Naturalist. Maybe, when the time is right, you will want to apply to take the initial course and complete the certification process. We welcome you either way. Meet people with whom you can discuss your favorite naturalist topic. Meet people who enjoy working and being in nature with you. 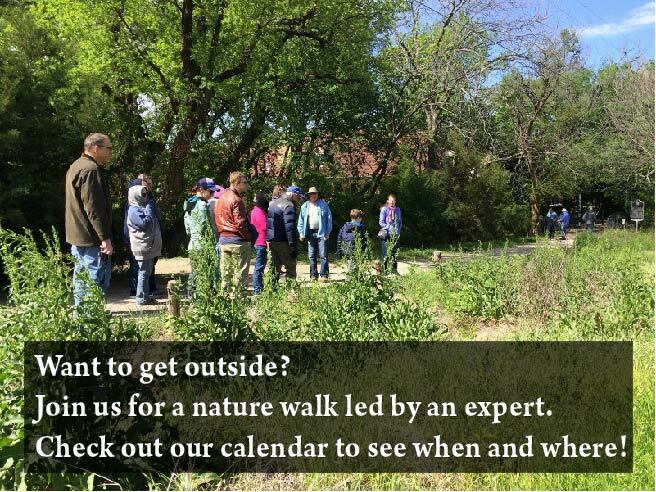 The North Texas Master Naturalist chapter’s current plan is to offer one initial training course per year. Applications will open for next year’s class in October. The course will start again next February. In the meantime, develop your volunteer resume and your own naturalist training path. We continue to fulfill our mission to develop a corps of well-informed volunteers who provide education, outreach, and service dedicated to the beneficial management of natural resources and natural areas within their communities for the State of Texas. See pictures of the first night of class!